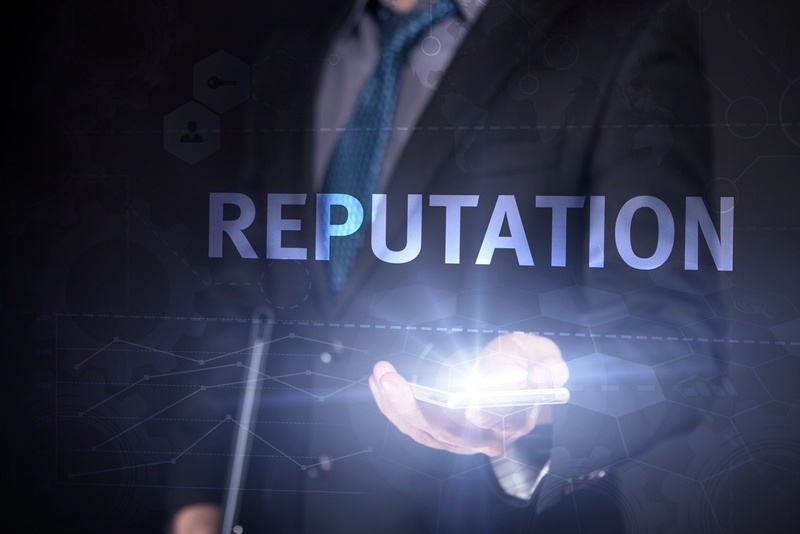 With the internet spreading information faster than ever, companies are exposed to a growing number of reputation threats. In the fight to maintain a positive online profile, preparation is everything. It’s important to know what the issues are and be ready to deal with them before there is a problem. Timely action can diminish the impact when issues do occur. Disgruntled Employees – Employee feedback is a growing problem for companies. A number of sites, including Glassdoor, LinkedIn and Indeed, encourage current and former employees to leave reviews and rate their employer. Negative reviews on these sites can hurt future recruitment drives and make it harder to attract talented individuals. Beyond this, general chatter and rumour-mongering from disengaged and dissatisfied employees on social media decreases the company’s overall reputation. Any reputation management strategy needs to include a plan to monitor what employees are saying and implement appropriate damage control measures as necessary. Problems begin when employees feel detached and let down by the organisation they work for. Maintaining positive lines of communication and information sharing helps to keep staff actively engaged at all levels, reducing the chances that a negative rumour will gain ground. However, some individuals may be angry and upset about a specific situation in which they feel they were treated unfairly. If the employee is still with the company, addressing the issue on a personal level may help to dissipate the negativity and reduce the person’s need to sabotage the company online. On the other hand, in the case of an unreasonable individual and/or a former employee, responding may compound the problem and attract more negative attention. Company leaders need to take each comment on a case by case basis and decide whether a response is appropriate. Overall, maintaining transparency throughout all levels of the organisation, with clear standards for hiring, promotion and termination, reduces the chances that employee complaints will become a major reputation issue. Competitor Attacks – Competitor attacks can range from clever marketing strategies aimed at undermining your business, to the publication of information that is deliberately false and misleading. Building a unique brand with a positive reputation is the best way to defend against most of these attacks, but it’s also a good idea to monitor competitors’ marketing and make sure to stay one step ahead with your own innovative offers. However, some companies have been known to resort to extreme measures, including the publication of negative material about their competitors. Some go so far as to obtain client lists so they can share speculation over your company’s financial solvency directly with customers. In cases like this, a defamation claim may be warranted, but it’s important to get legal advice before embarking on such a course. To be successful, you will need to prove that the material is not only unfounded, but published with malicious intent. The case will inevitably draw attention to the issue, and if the judge finds all or part of the published information to be true, it will cause more reputation harm than the original material. In 2014, the Defamation Act established new standards in the UK, including a shorter statute of limitations, so it is more difficult than ever for companies to win a libel suit. Unhappy Customers – Negative online feedback from customers is every company’s worst nightmare, yet this type of publicity is almost a given in today’s internet centred world. A recent US study looked at the reasons why customers leave negative reviews and found that, of the 2,000 respondents surveyed, 52 percent were complaining about a service issue, while 31.4 had experienced a product problem and 16.6 were protesting a company policy. When the respondents were asked about their motivation, 73 percent claimed they wanted to save their fellow consumers from a similar experience; just under half also said they wanted a refund or that they would like the company to be more honest, while 38.9 wanted an apology from the company. Dissatisfied customers can damage a company’s reputation, but the good news is there’s a lot you can do stop the problem from getting out of hand. Company personnel need to monitor customer comments and respond to those that appear to be reasonable, either with an apology and an explanation of what the organisation is doing to address the problem, or with monetary compensation (refunds, gift certificates, coupons etc.) as appropriate. An effective system for handling customer service and product complaints will help reduce the number of negative reviews. Beyond this, the company needs to work on generating genuine positive feedback from satisfied customers to counteract any negative comments that do appear. PR Crisis – A PR issue can hit without warning, whether it’s due to a faulty product, a service failure, an accident or a scandal involving top company officials. Information travels quickly on the internet, so it doesn’t take long for an incident to escalate into a crisis that can affect stock prices and sales, as well as public opinion. Whether the company bounces back quickly or descends into a downward spiral depends a lot on how management responds to the problem. Companies need to be proactive about planning for crisis management. A qualified team should analyse any PR issues the company might be likely to face, from industry specific problems like an airplane accident or an oil spill, to negative publicity that could strike any company, such as the publication of a damaging video. For every potential issue, there should be a plan outlining the company’s response strategy. It’s important to include a clear chain of command regarding information sharing and policy statements, and designate a PR representative who is prepared to communicate with the media. Evasive responses or refusal to take responsibility can lead to even more negative publicity. Company leaders need to be prepared to show empathy and compassion toward the people affected by the incident, while at the same time asserting the organisation’s overall record of honesty, transparency and accountability. CEO Actions – A company’s reputation is only as good as it’s CEO. According to a study from Weber Shandwick, top executives attribute 45 percent of a company’s reputation and 44 percent of its net value to its CEO. The CEO is increasingly becoming the face of the company, a public figure that engages with stakeholders and the media rather than running the business from behind the scenes. This star power brings the CEO’s actions under increased scrutiny, with any sign of misconduct likely to affect the entire company’s reputation. CEO’s need to put active effort into managing their own reputation, as well as that of the company. They also need to work closely with other team members to ensure that the company’s corporate culture and public image supports their individual management style. A posotive CEO reputation can only add value to a brand.